Notes from the AQE letter of February 3rd, 2011 to parents and guardians signed by Sir Kenneth Bloomfield. Bloomfield’s affinity for a Pupil Profile remains intact and has not been rejected by him. On P2 of the letter Sir Kenneth announces detail of the AQE CEA re-mark scheme. Parents will recall that disadvantaged pupils (those on Free School Meals) did not pay the £35 fee for taking the tests. However, Sir Kenneth Bloomfield, on behalf of AQE announced the imposition of a £10 charge for those on FSM for requesting a re-mark. It is understood that the motivation behind creating further disadvantage for those already disadvantaged was to prevent members of the local community from flooding the AQE office with requests for remarks. So to be clear – the AQE proclaims equality of opportunity for the disadvantaged in applying for grammar school entrance tests but effectively removes it by denying them equality in seeking a re-mark. 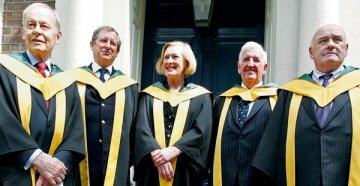 PaceNI blog readers will hardly need reminding that Sir Kenneth Bloomfield’s school, Inst refused FOI requests from PACE seeking disclosure of the number of bursaries provided to disadvantaged pupils at the Royal Belfast Academical Institution. The exemption claimed by Inst was on the groulnds of cost to provide the information. While some member schools in AQE make claims of their desire to assist and support disadvantaged pupils Sir Kenneth Bloomfield, chair of governors of only one of two category B schools, destroys such claims by imposing charges for “free” tests. Ken Bloomfield then goes on to claim in his letter about the help and assistance that primary school principals will provide during interviews for completing the transfer forms. Perhaps he should have read his own document,The Statistics from the Questionnaires of January 2011 which clearly indicate that only 67% of primary schools provided information on the AQE tests. Even those of limited mathematical ability can covert that figure to a fraction. One in three primary schools, led by principals, refused parents the information on the transfer tests. How can Bloomfield suggest with any expectation of credibility, that parents trust primary school principals to ” assist you in the application process”. 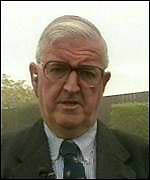 Sir Kenneth Bloomfield clearly wants to attract attention to himself and his incoherent agenda. His signature on the letter to parents on behalf of AQE juxtaposes sharply with all the work diligently carried out by William Young, former headmaster at BRA, the CEO at AQE Ltd. Unfortuantely it seems that Bloomfield is determined to destroy AQE from within. How else can one explain the gross ineptitude found within his letter to parents. Specal circumstances, special provision and special cases are highlighted by Bloomfield as a basis for parents who feel that the mark obtained after three tests does not reflect their child’s “true ability” to challenge the result. Bloomfield suggests that parents might wish to obtain comparative educational evidence from the primary school (including the third of schools who provided no information on the AQE CEA tests). Did he stop to consider that this is instantly recognised as another effort on his part to push for the Pupil Profile. After all, if equivalent information on attainment exists in the primary school what is the point of testing for grammar schools? That question will confuse and confound the 21% of parents from the middle classes who entered their children for entrance tests while claiming they are also against academic selection. Perhaps he was regressing and thought he was writing a letter in his former role as head of the N.I. Civil Service seeking to deliver everyone in an equality of result outcome.